1/6 inch, 1/4 inch, 1/2 inch that are mainly used in nurseries. 3/4 inch, P.L.F, Crush used in the horticulture professional sector. 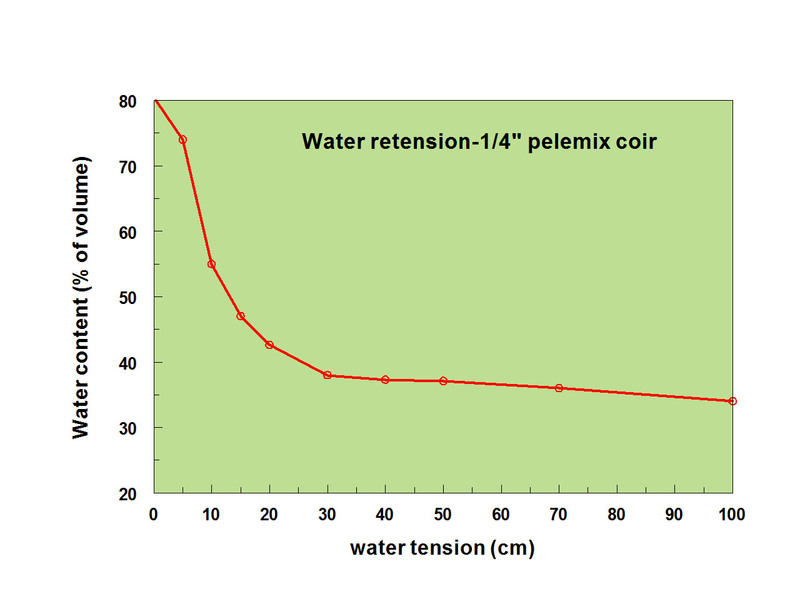 Pelemix keeps the important chemical factors at the proper range (EC/PH) by using the natural local rains or local pumped waters from close natutal rivers. 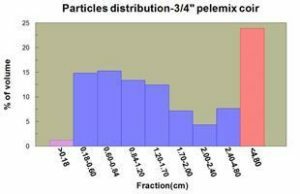 The raw material coming out of the production sites of Pelemix is balanced by nature and they are named and marked as: NOT treated or washed or UNWASHED. only this type of products range are allowed to be used in the ORGANIC growing sectors. 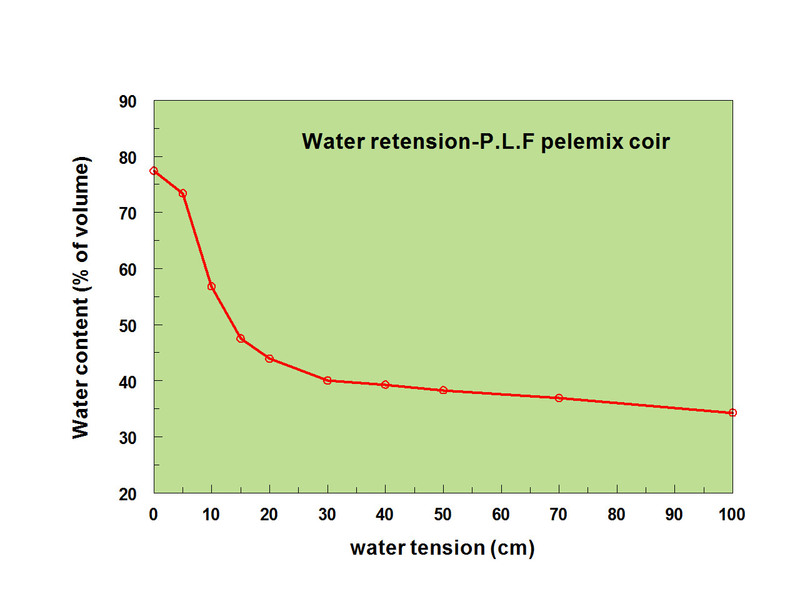 For very unic customers and on demand, Pelemix has developed a special protocol of treatment for chemically balancing the coir, using Calcium Nitrate in order to reach very low EC levels. These products are named and marked as: Treated (fully/partly) according to the required EC level. These Data are clearly indicated in all documentation that accompanies the shipments. The “treated products” can not be used fro the ORGANIC growing sectors due to the chemical treatment in this product range. Pieces of Coir made from the husk. The chips material is usually added to the growing media as an aerating supplement and allows higher drainage. Chips are very popular in orchid nurseries. The presence of the chips inside the growing media supplies the orchids a good combination of moisture, air and water. There are different sizes of Coir chips and it is important to use the right fraction for the right crop. The 1/6″ Cocopeat and the 1/4″ Cocopeat materials are Pelmix’s unique products for Nurseries which specialize in seedlings. The absence of large particles in the 1/6″ Cocopeat and the 1/4″Cocopeat guarantee that there will be full contact between the seed, seedling or the cutting and the growing media. In seedling nurseries the ability of the substrate to maintain water is crucial for the success of the product. 1/6″ and 1/4″ Cocopeat provides this need while keeping the minimum necessary air content. This Combination of 3/4” cocopeat and Crush provides a more drainable growing media. It is suitable for climates having a cold winter and hot summer. It is perfect for growers who are interested in applying large number of irrigation cycles in all seasons. 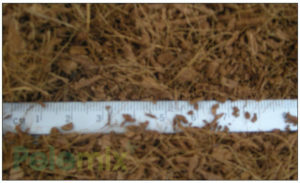 The unique combination of 3/4” coir and Crush results in a media that combines the ability of Crush to drain water with the ability of 3/4” coir to hold water. The media is well aerated but holds water much better than using the crush growing media alone. The Crush Coir is a coarser Coir made of long fibers and chips. The absence of dust and the 3/4″ Cocopeat allows a much faster drainage. 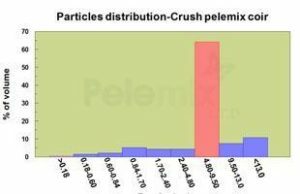 Pelemix sieving and pressing technology guaranties that, although the Crush allows fast drainage, it also provides a uniform and homogeneous media. The Crush Coir is suitable for regions with cold climate and low radiation. In those regions, a high number of short irrigation cycles is required in order to supply the plant’s needs (Such as Poland and Canada). The P.L.F. Cocopeat is a combination of crushed coco and 3/4″ Cocopeat. The presence of crushed coco provides a more drainable medium and therefore is more suitable for regions with both, hot and cold growing periods (Such as U.S.A. and Turkey). 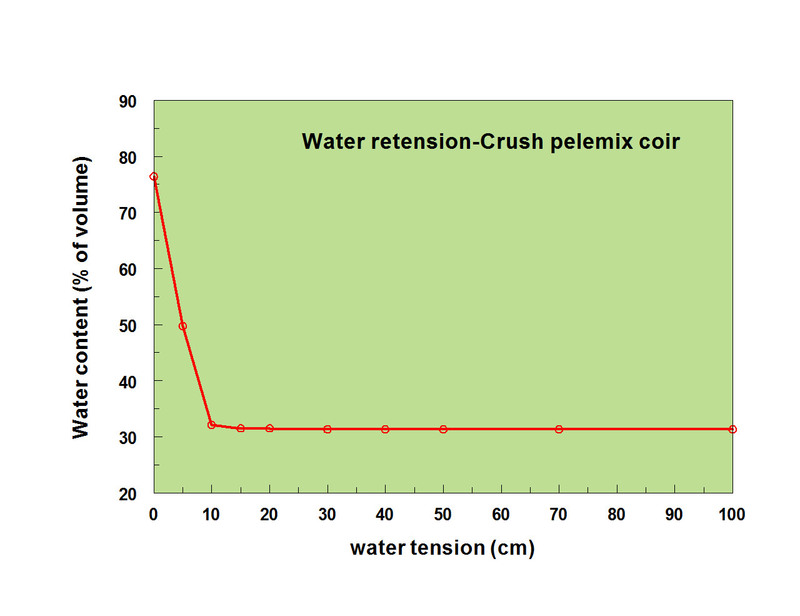 Here again, Pelemix’s pressing technology guarantees that the distribution of the two Coir types, inside the grow bag, will be uniform. Combination of the two Coir types guarantees a balanced air and water distribution along with faster drainage. 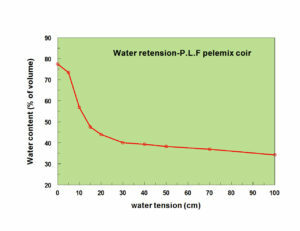 The 3/4” Cocopeat is one of Pelemix’s leading products and it is recommended for use in hot climate regions (Such as Mexico, South-Africa, and Australia). 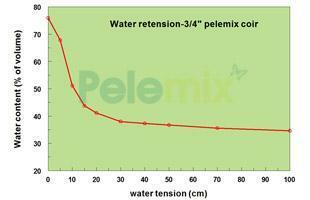 The 3/4” sieving is exceptional in its ratio between air and water. Although the Cocopeat has adequate water capacity it also maintains a balanced air capacity as well. 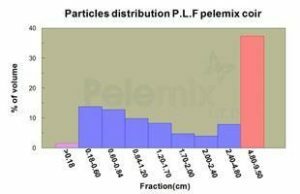 Pelemix’s pressing technology guarantees that the distribution of the different segmentations inside the grow bag will be equal. 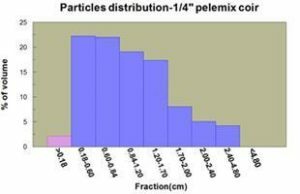 By doing so, Pelemix creates a uniform grow bag that allows air and water to be distributed equally in the growing media.